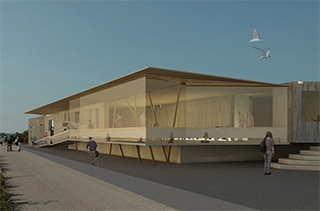 We thought it might be helpful to provide some information about the building of the Discovery Centre, since Baxall Construction has been on site since 11th March 2019. Will it affect access to the reserve? The reserve will remain open for the whole of the build, but part of the road (by Lime Kiln Cottage) is no longer accessible to the public because Baxall need access to the road. So there is a diverted route of a two metre wide, pedestrian walkway at the same height as the road, on the right hand side of the road as you go towards the sea. This will still provide access for wheelchairs, buggies and bicycles. Hoardings around the edge of the building site will display information for visitors. Where are their staff and equipment based? Will there be much noise and disruption? Large scale movements of vehicles will be minimised, but there will inevitably be more traffic than at present. Please be aware that, for some days, during a period of up to three weeks, foundation support for the centre will take place, (‘concrete pile driving’ into the soil), which is likely to be noisy. Won't it disturb the birds? There has been noisy construction work done on the reserve in the past. The birds coped very well. 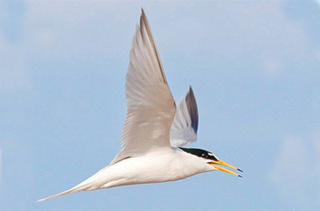 Ours is a very large reserve, so they may fly off, but they will return. Also, they quickly learn to adapt and tolerate noises once they've heard them a few times. What can we expect to be happening and when? Following the completion of fencing and the temporary walkway, Lime Kiln Cottage is being dismantled prior to the start of constructing the new building. The build should take 38 weeks. 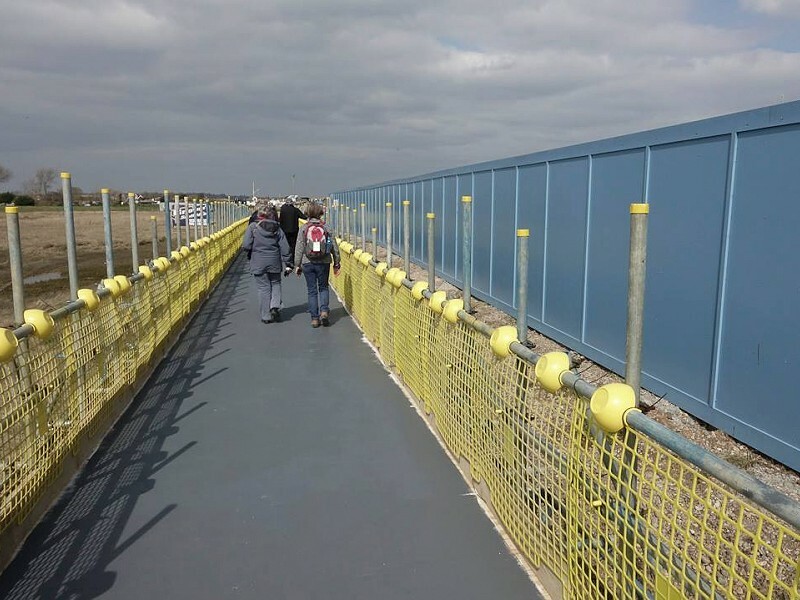 Baxall hope to finish by the end of 2019, but as work progresses, we will issue regular updates. What’s happening to waste material? Will building materials get blown about if it’s windy? 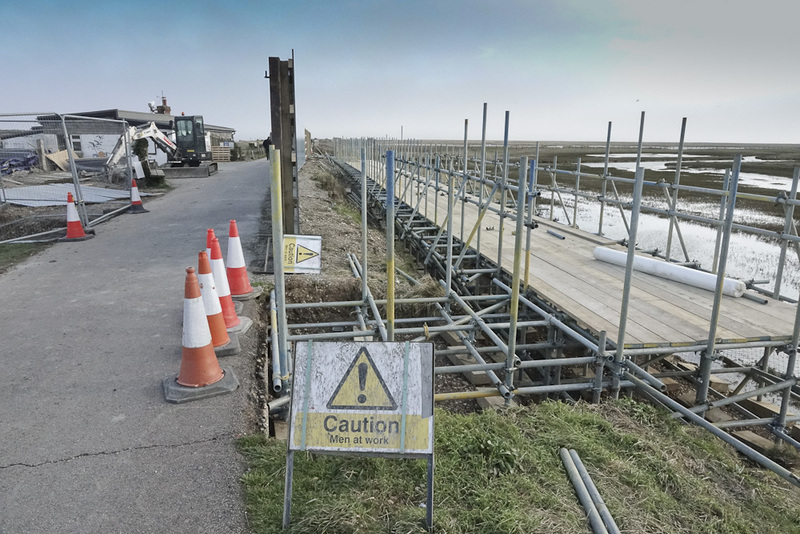 Baxall will be removing waste material from site regularly, and they are aware of the geographical challenges of Rye Harbour Nature Reserve, so will be taking great care. Material from the site will be transported to a registered waste recycling centre. Is there any overnight security? The site is locked at the end of each day, with a CCTV security system installed. There will be timelapse photography and other means of recording the build process. Any use of drones will have been approved by the Reserve Manager. Why is the Discovery Centre being built? At the moment, we don’t have adequate facilities for the large numbers of annual visitors we welcome on the reserve, including parties of schoolchildren. The same is true for staff and volunteers. The nature reserve is vast, and it needs somewhere accessible, that offers shelter in all weathers, and has facilities including toilets, all of which enable everyone to enjoy our reserve, all year round. Information Centre volunteers will be getting daily updates from Senior Site Manager Matt Fothergill. Where will parking for the Reserve be directed to and what arrangements are there for increased traffic on Rye Harbour Road? What provisions are there for increased sewage into overloaded Victorian drains in Rye Harbour Village? 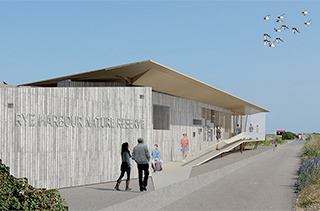 Parking for the reserve will be directed to the existing car parks in Rye Harbour, Rye and Winchelsea Beach. The brown tourism signs direct people to Rye Harbour. The car park and toilets there are run by Icklesham Parish Council. There is potential for greater capacity in the car park if it was white lined. We appreciate that at peak times there are too many cars for the parking spaces available in all of Rother District and we are working with the Sussex Community Rail Partnership to promote visiting by rail on our website and in our literature. The drainage strategy has been agreed with Southern Water who have confirmed that a pumped main will discharge the foul water in to the existing sewer system at a slow rate of 4l/s. This is achieved through a pumped main system where the pump only allows the foul to discharge at the agreed rate. Southern Water dictate the flow rate based on the existing sewer system capacity. Please do let us know if there is anything else you’d like to know.